On October the 13th, the Democratic Football Lads Alliance (DFLA) will be marching in central London. 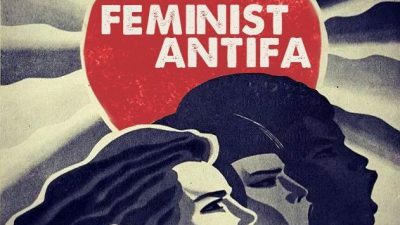 A coalition of trade unionists, militant antifascists, feminists and football fans are mobilising to stop them. 2018 has seen a resurgence of fascist and far right movements. 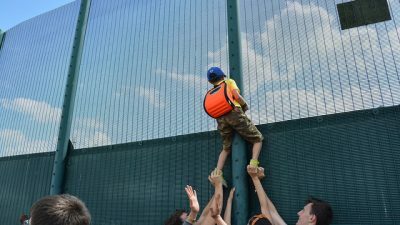 The year kicked off with ongoing activity from the UK branch of youth ‘Identitarian’ movement ‘Generation Identity’, culminating in May’s ‘Day for Freedom’. This was a rally organised by the racist far right hate preacher Tommy Robinson, which drew together an assortment of 4chan oddballs, UKIP supporters and the far right hooligan group DFLA (Democratic Football Lads Alliance) to listen to speeches from far right darlings including Milo Yiannopolis and Robinson himself. Worryingly, antifascists found themselves outnumbered around ten to one, a departure from decades of previous cycles of fascist activity. The Democratic Football Lads Alliance sprung out of the mass protests that followed the UK terror attacks of 2017. The DFLA, then just the FLA, mobilised in their tens of thousands to protest ‘Islamic extremism’. Initially, the leadership of the FLA weren’t singing from the same hymn sheet as the extreme right, and rebuffed Tommy Robinson’s first attempts to make links with the group. 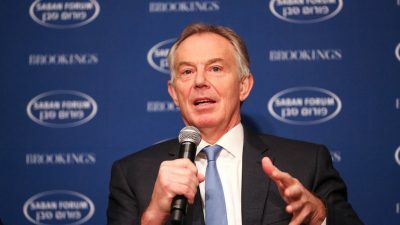 There has been a clear rightward shift in the groups political trajectory however, spurred on by internal schisms and an vocal affiliation of rank and file members to Tommy Robinson and his brand of Islamophobic hate. Today the group almost exclusively focusses on a campaign against ‘Muslim grooming gangs’ from which they seek to protect (white) women and girls. 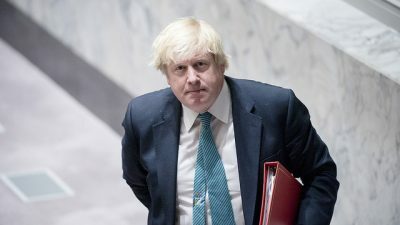 Their demonstrations have become increasingly accommodating of more explicit fascist and far right figures, and they’ve taken a much more hostile stance to the left, whom they charge with covering up abuse for the sake of political correctness. An important factor to consider in the evolution of the DFLA has been what author Dave Renton termed the convergence on the right – the coming together of various right groups and tendencies and the blurring of the lines between right, far right and fascist. Even a few years ago it would been inconceivable that the leader of an electoral project like UKIP would associate with a hooligan street movement. Yet UKIP’s leader Gerard Batten has moved to associate the party with Tommy Robinson and the DFLA, speaking at the Day for Freedom and marching with them recently in Sunderland. There has also been increasing international support and solidarity between various nationalist movements. Tommy Robinson’s legal defence has been entirely bankrolled by groups in America, indeed the #FreeTommy movement as a whole has taken on a notably international character. 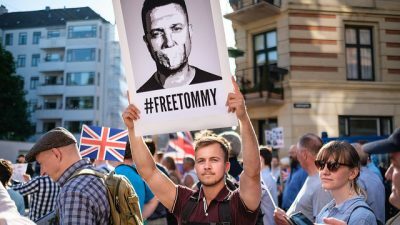 A majority of the signatories on a petition to free Robinson came from overseas and #FreeTommy demonstrations have sprung up across many western countries. Antifascists have been slow to respond to the latest threat of the far right, but the fight back is beginning. 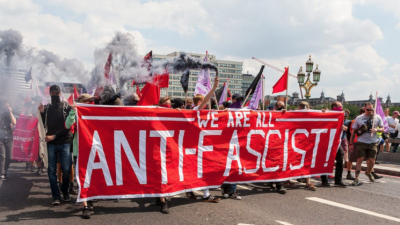 On October the 13th a unity demonstration has been called by a coalition of groups including the Anti-Fascist Network, Football Lads and Lasses Against Fascism and the Women’s Strike Assembly. It’s time to stand up to the likes of the DFLA, and oppose their violence and racism head on. 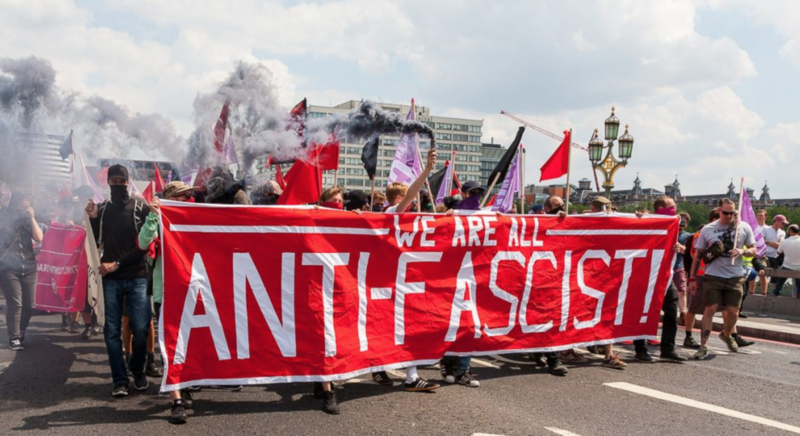 More broadly, antifascism can no longer be outsourced to specialised groups but must be integrated reflexively into more general left wing organising. Assemble 12pm, Portland Place, outside the BBC. If you live outside of London, coaches have been organised to get to the demonstration so check what’s going in your area. Find out more here.